Welcome to the Jervis B. Webb Company SmartCart website for Value-Added Resellers (VARs). Our objective is to provide you with helpful sales and marketing tools, competitor information, support manuals and drawings that improve your overall sales efforts. We welcome your feedback on how to make this site more helpful to you. 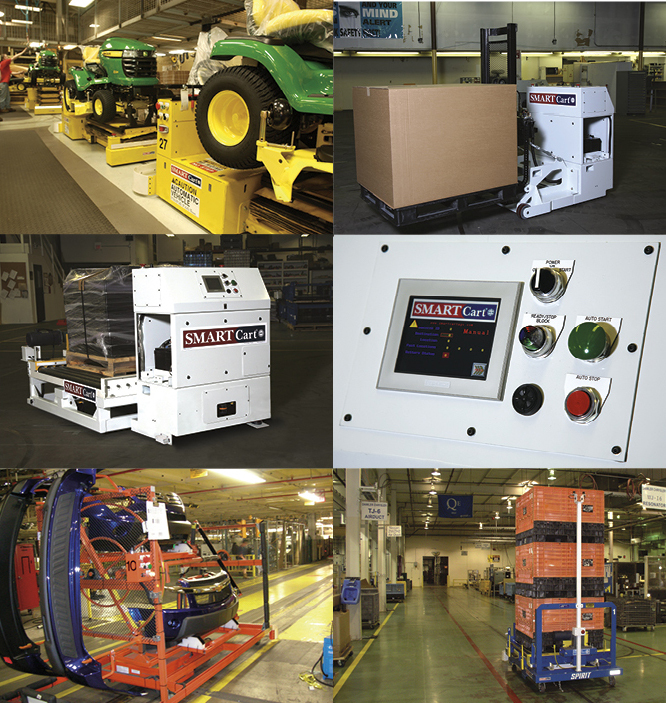 SmartCart AGCs are designed for the way you do business. These cost-effective automatic guided carts provide optimal flexibility for moving materials around your manufacturing facility or warehouse. This site performs best when used with Microsoft Internet Explorer 7 or greater. Download it now. NOTICE: All information, data and materials contained on this website are confidential and proprietary to the Jervis B. Webb Company (Webb); are for use only by Webb Value-Added Resellers in accordance with their agreement with Webb and may not be reproduced, distributed or communicated to others without express written permission from Webb; are subject to change without notice by Webb; and are provided without any warranty or guarantee of any kind. Use 'Forgot Password' option with your name in this format, 'JohnSmith' (no quotes or spaces). Send an email to kauten@jerviswebb.com to get unlocked.